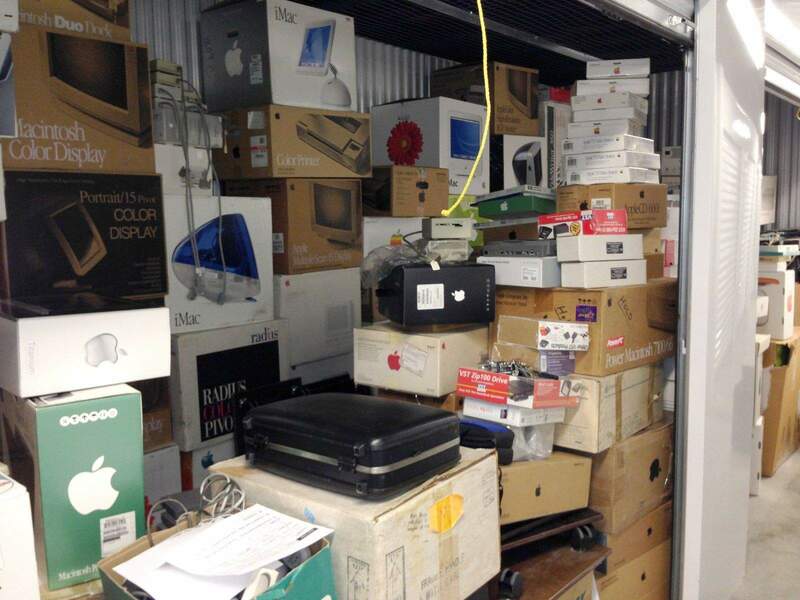 Macs in the Box: The Incredible Mac Collection of Marion Stokes. Now For Sale. Are you a Mac collector? An Apple investor? Do you like to buy old computers still new in their original packaging? If so, do we have a storage locker for you! Marion Stokes was a librarian, activist and local access television producer from Philadelphia. Recently she made news for her incredible archive of 35 years of TV news broadcasts, recorded continuously on home videotapes from 1977 until her death in 2012. But Stokes was also a longtime Apple investor and Macintosh fan. Over the same timeframe she acquired nearly two hundred new-in-box Macintosh computers and related Apple gear, and kept much of this equipment sealed for posterity. It’s another incredible history, about technology and one unique Silicon Valley tech entity. And it can be yours, if the price is right. The whole kit and caboodle is available on eBay, listed for the Buy It Now price of $100,000! She began casually recording television in 1977. She taped lots of things, but she thought news was especially important, and when cable transformed it into a 24-hour affair, she began recording MSNBC, Fox, CNN, CNBC, and CSPAN around the clock by running as many as eight television recorders at a time. She’d feed a six-hour tape into the recorders late at night. She’d wake up early the next day to change them (or conscript family members to do the same if she wasn’t home). She’d cut short meals at restaurants to rush home before tapes ended. And when she got too old to keep up, she trained a younger helper named Frank to run the various recording equipment. It’s an incredible historical find. But less well reported has been Stokes’ Macintosh stash. Stokes was a major original Apple investor and a longtime supporter of the company. During her lifetime she also purchased or was given nearly 200 new Macintosh computers, peripherals and interesting items. It is a literal time capsule of Apple and its history over three decades. Stokes kept the equipment and the videotape collection in several climate controlled, protected apartments – separate apartments from where she lived, used only for the storage of tapes and equipment. At one time she had as many as nine properties. Since these items were not kept in a locker or damp basement for decades, they are in excellent condition. Many of the boxes remained sealed and unopened until Mrs. Stokes death. It took nearly three weeks to empty out the apartments and categorize all the items. The videotapes filled up three 10-foot by 40-foot storage lockers, and have been sent to the Internet Archive in San Francisco to be digitized. The new-in-the box Apple equipment included things like a Lisa 2/10, Macintosh 512k, NuBus PowerMacs, a Workgroup Server 7250, eMacs and iMacs of all styles. 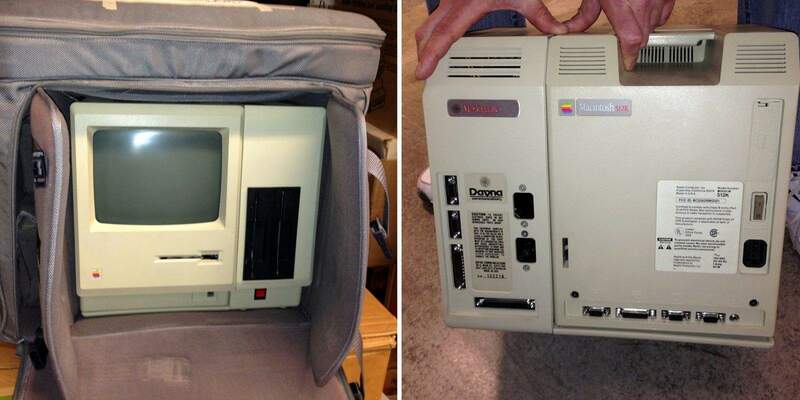 Laptops included Macintosh Portables, 68k PowerBooks, clamshell iBooks, G4 Powerbooks and even a Duo Dock. 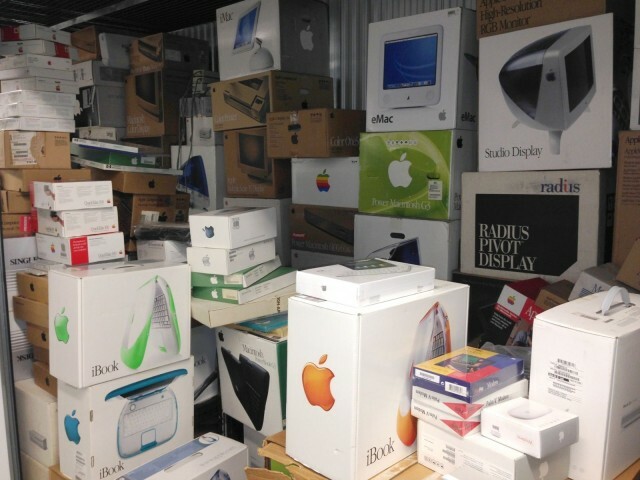 An original Macintosh 20MB SCSI Hard Drive, QuickTake cameras, laser printers and monitors like a Radius Color Pivot Display and Apple 21″ Studio Display (a behemoth CRT) can also be found, not to mention dozens and dozens of additional Macs and related gear also new but without original packaging. We don’t know much about why Stokes decided to collect this equipment, other than that she was a fan of Apple and appreciated the significance of the technology. 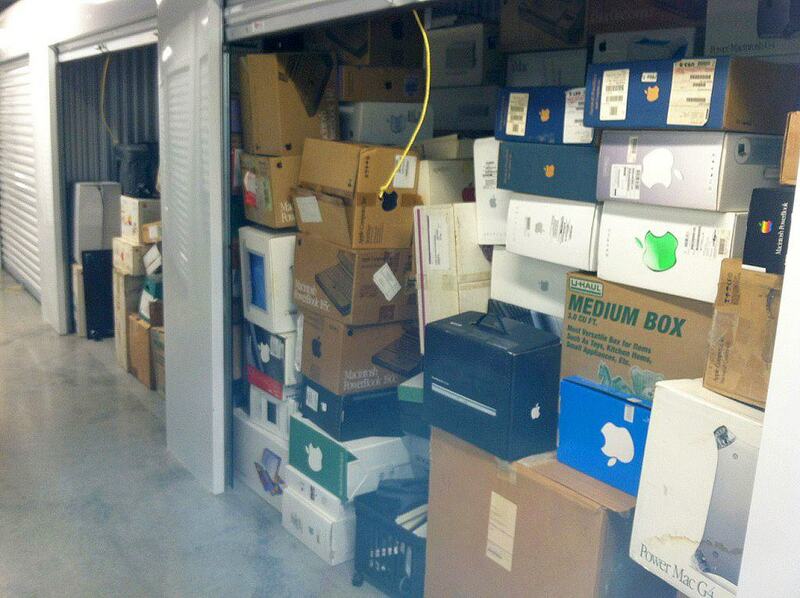 It’s not clear whether to call this specific collection a case of hoarding, or very shrewd investing! After Stokes’ passing, her estate had the computers sent to an authorized Apple repair facility where the machines were inventoried and tested, detailing any issues or problems found. 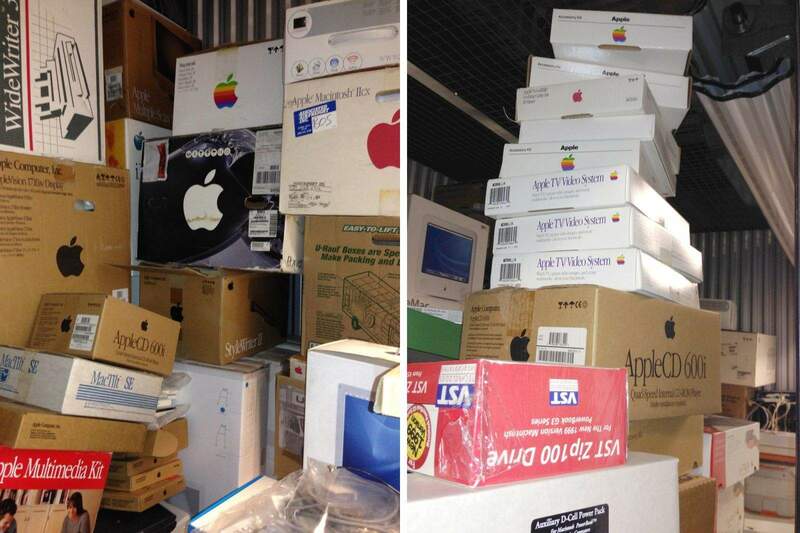 The entire batch was then sold to an unspecified buyer, and these incredible Macs in their Boxes finally entered the public eye. Henry Plain and Matt Bergeron are Mac geeks. Longtime friends since the 68kMLA days and occasional business partners, they buy, repair and (sometimes) sell old Macs and Apple gear. Plain is on the West Coast, in California’s Silicon Valley, and Bergeron lives on the East Coast in Rhode Island. Bergeron was one of the people Plain called. He claimed a few items as well, but before he even had a chance to pick them up, another buyer bought the whole collection. Capitalism at work – a crushing blow to the Mac collector on the hunt. Fortunately their luck soon turned around. What would these storage lockers fetch on Storage Wars? The entire remaining batch has been cataloged and is now available on eBay. How often does the chance come along to acquire 30 years of computing history, much of it new-in-box, in one fell swoop? If you want the whole thing though, it’ll take some deep pockets: the Buy It Now price is currently set at $100,000. However you can also Make an Offer, and the duo is open to selling smaller quantities of equipment separately. They are primarily interested in finding good homes for the old gear. OK Mac collectors – let the buying begin! Then bring a couple of semis to haul everything away.